There is live midweek Premier League action for punters to get stuck into as Aston Villa take on Reading at Villa Park. With both teams languishing at the wrong end of the table, it’s a very important game, as we take a look at all the relevant odds for the clash. 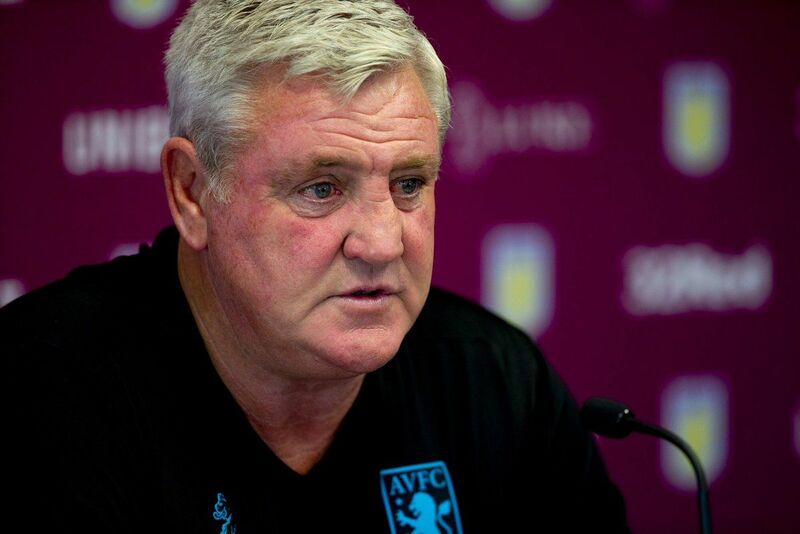 Aston Villa, slowly but surely, are starting to turn a corner under Steve Bruce. They may sit in 18th place in the Premier League after taking just 10 points from 13 matches, but there have been signs in recent weeks that something might be ready to click at Villa Park. They performed admirably when going down 3-2 to Manchester United before holding Arsenal to a well-earned 0-0 draw at the weekend. The Gunners were very flat in their play, granted, but Villa still coped with a talented side well, and could have taken all three points with a bit more care in the final third. Confidence should be high following that result, especially, with the visit of Reading, who are one place and point below them in the league table. The hosts have been well supported to grab maximum points with Paddy Power reporting significant money coming from well-informed sources on a home win. The Irish firm were 21/20 on Sunday afternoon but have had to cut the price into 10/11 after a wave of money. One worry for the Villains is that they haven’t had much time to recover from their excursions against Arsenal on Saturday evening. Limbs could be tired and is something that Lambert may have to factor in when naming his team. Goals have been hard to come by for Villa though at home this season, with only seven goals scored at home, therefore if they are to gain a victory it could be done with a focus on substance rather than style. For that reason it could be worth having a small play on both 1-0 (13/2 Bet365) and 2-0 (17/2 Bet365) in favour of the home team. But Reading will be no push overs. Brian McDermott’s side have been a breath of fresh air to the Premier League, playing an attractive brand of football that always produces goals and entertainment. He has failed to find the balance between defence and attack just yet, as Reading have only tasted success once this season and were stunned late-on by Wigan 3-2 at the DW Stadium on Saturday. Like Villa, they will also be confident of getting a result, and at 3/1 with Bet365, they are capable of rewarding punters if they continue to play with the same enthusiasm as they have showed all season. Their defence is a main issue though, and they managed to keep just one clean sheet in 15 league and cup games. It’s for this reason that the both teams to score option around the 8/11 mark with Ladbrokes looks an odds-on shot that should reward punters. Between them both sides have drawn 10 games between them in the league this season, so that has to be a runner here. The 5/2 doesn’t make much appeal though, so taking the 11/2 for a 1-1 draw looks far better value especially when you consider the weakness of Reading’s defensive play. Reading have shared their goals around the side very well this season with an array of goalscorer’s getting on the score sheet. Jobi McAnuff is one man to have contributed fully to the cause this season and he seems to get into goalscoring positions on a regular basis. There are far worse 13/2 shots than McAnuff to score at any time.